Posted April 16th, 2017 by Mike Boyes & filed under Basic Cognitive Functions In Aging: Information Processing Attention Memory, Child Development, Cognitive Development: The Information-Processing Approach, Human Development, Language Development, Language-Thought, Student Success. Description: Children raised in low socioeconomic status (SES) families do not do as well in school as children from high SES families. Why do you think that might be the case? You should be able to generate a long list of possible hypotheses. Perhaps the schools they go to are not as well supplied or as well run as the ones in the “better” parts of town. Perhaps the genetics that contributed to their parents’ not doing very well themselves are expressed in the children they send to poorer schools as well. Or perhaps…..? As you think about possibilities think also about whether the possibilities you are coming up with represent things that can or could be changed. For example, while we cannot change genetics (yet) we CAN fix schools. What sorts of things could be looked at throughout the years of infancy and preschool that could be open to intervention? Obviously we need to look at the size of the effects in whatever we come up with but what could we look at? Once you have a few thoughts in mind have a read through the article linked below and see what the researchers whose work it talks about have studied. Source: Low Income Kids May Miss Out on Complex Language Skills, Traci Peterson, News, Parenting, PsychCentral. So were vocabulary and the richness of early language part of your list of hypotheses? Were the results discussed surprising to you? Well, think a bit about how we use language. Certainly we use it to communicate. However, we also use it to think. We use language to help us map, analyze and understand our experiences and our world. 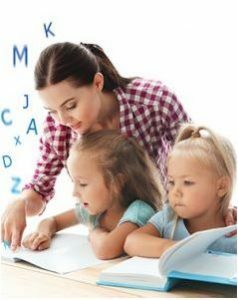 Young children develop their language abilities though their interactions with their caregivers. Caregivers that pay attention to what the child they are caring for is looking at and expand upon the child’s experience by talking about what they are seeing, or by engaging the child in talking and thinking about the things in the world around them are helping the child develop not just a larger vocabulary but they are also helping them see a more complex, nuanced world. They are helping the child get ready to engage actively with the world in ways that prepare them to do more and more of just that as they enter the school system. Lower SES children enter the school system in grade one with HALF the vocabulary of High SES children. This disadvantage only increases and requires more and more detailed interventions to even begin to address as children move forward through school. You have likely heard the saying “The rich get richer and the poor get poorer”. Well vocabulary is a big part of how that comes into play (it’s not all job connections!). So what should we do about this? Well, think about it…. and talk about it! Why are the vocabularies of low SES children lower than those of high SES children as school entry? Should schools do things differently with low as opposed to high SES students? What sorts of infancy and preschool level interventions should we be running to address these issues?